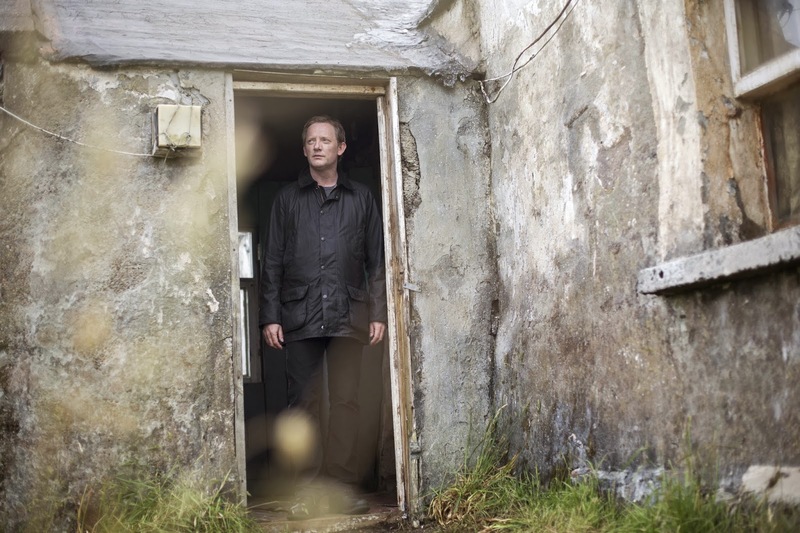 Tuesday sees the return of gritty crime drama Shetland for a new run of 3 2-part stories. 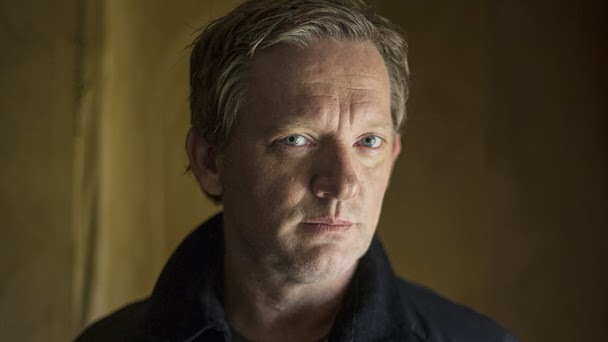 In a recent interview with the BBC, star Douglas Henshall spoke about returning to the Island for the new series. Well thank you very much. We had great people involved in this next series: the crew were fantastic and we got great actors in this second series. One of the great pleasures of this shoot was how many actors got on board that were top notch. And also a lot of Scottish actors who I hadn’t seen for a few years, people like David Hayman who gave me my Equity card and my first job out of drama school – the first person I really looked up to professionally. Why do you think Shetland struck a chord with the audience? I think the viewers are naturally drawn to the place, the setting and curious about what Shetland is like. And, beyond the location, it’s a well written drama which draws you in. What challenges await Perez and his team this time around? Well there’s a spate of murders for starters! The thing about the location is it’s a relatively small place so everyone has opinions and when a murder happens it’s hard for the gossip and old histories of past relationships not to come into the mix. The difficultly for Perez and his team is to try and keep a clear, objective line. Can you tell us the story of the first two-parter, Raven Black? When a young girl is found dead on a beach, no one has any idea what has happened to her. There’s no clues of a possible motive early on but then we find the body of a missing child who’s been missing, presumed dead, for over 10 years. And when both cases are linked to Magnus Bain [Brian Cox] it’s up to Perez and his team to ascertain what’s gossip and what’s real. For Perez, he can’t help but feel that Magnus is a man who may well have been picked on by everyone. He’s got a quite odd, quirky relationship with Magnus and I would say that the scenes between Perez and Magnus are quite touching really. What was it like working with Brian Cox? I worked with Brian around seven years ago on a Sherlock drama [The Strange Case Of Sherlock Holmes & Arthur Conan Doyle] where he played Dr Joseph Bell and I was Conan Doyle. We only worked together on that for three or four days but it was really good fun and it’s great to watch the very unique way that Brian performs. What storyline surrounds the second drama Dead Water? There’s a car crash involving a journalist who’s an old friend of Perez’s and it appears to have happened in suspicious circumstances as it looks as though he’s been hit off the road. And then another murder happens. Aside from the murder, forensic scientist Willow Reeves appears played by Nina [Sosanya] and there’s a bit of a flirtation between her and Perez. This is the point where Perez is forced to face up to the fact that the time might have come for him to move on from his wife’s death. But is he really ready? And what is the drama in series finale Blue Lightning? There’s been a murder on Fair Isle and, considering it only has a population of around 65, it makes the investigation all the more claustrophobic. Fair Isle is where Perez is from so this murder hits home as it’s happened on his home soil. Shooting on Fair Isle was one of the best experiences we all had on the entire series. It’s such an extraordinary place. And we meet for the first time your on-screen father, James played by Bill Paterson. I worked with Bill many years ago on a BBC Scotland drama called Sea Of Souls. He was such a nice gentle, generous man it was a real pleasure to work with him again. I think it’s fair to say Perez and his father have a slightly ‘tricky’ relationship. His dad’s a lay preacher and Perez and him have had some issues but there’s a warmth there as well. I’ve known Julie [Graham] for about 25 years. Julie’s character [procurator fiscal Rhona Kelly] is the typical boss type who Perez has to go to for permission and they have a respectful relationship but she does challenge him. Julie’s great fun to be around, really entertaining and everybody loves her. She turns up and charms everyone on set, she’s a joy. It was great to be back working with Alison and Stephen [Tosh & Sandy]. We have a very good rapport, we’re very comfortable with one another and we all see each other outside of work. We don’t just have a working relationship we also get along very well privately – it’s a close little family. Was it good to return to Shetland again? Absolutely. I think I appreciated it more this time around as we were there for a longer period so I got the chance to explore. I stayed in Lerwick during the first visit but the next time we went back I stayed further out so I got a better sense of isolation and began to see the merits of that more. We were in Shetland for over a month so when we arrived back in Glasgow I felt quite disorientated. It was just everything, the noise, the people. It was weird that after just a month in Shetland I felt slightly assaulted by the city. It must be terribly odd if you spend most of your time on somewhere like Shetland and come to a big city. It was just as well I came to Glasgow first and not straight back to London - that would have been too much! Without a doubt, Fair Isle [Episodes 5 & 6 – Blue Lightning]. There was a day during filming where the camera crew were on a little corner of the headland and they were filming a scene with a group of us coming out of the bird observatory and we could hear this noise coming from the ocean - it was whale song. The camera crew could make out in the distance that it was minke whales but all we could do was hear them. It’s such an amazing sound and not one I’d heard myself other than on TV in documentaries. The sun, the scenery and the people we were with - combined with this - made it utterly memorable and I was smitten by the place. And the journey to Fair Isle was ‘dramatic’ to say the least wasn’t it? Flying to Fair Isle from Lerwick is an experience I’ll never forget. I was sitting right next to the pilot with my wee headphones on. I remember him saying to me "don’t touch anything” and the temptation to touch everything was, I admit, quite strong. You have an overwhelming need to say, “What would happen if I just press this button? Or this one?”. That was quite fun but brilliant. You only fly at a thousand feet so you’re very aware of the fact you’re flying. The only thing that made me slightly twitchy was when we were landing because in a small plane like that the ground comes up very quickly! And it’s basically a small, old fashioned football pitch that you’re landing on. Fair Isle was the highlight of the job for me. Shetland returns Tuesday at 9.00pm on BBC ONE.